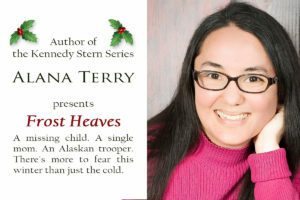 Frost Heaves by Alana Terry: Alana Terry's books tend to deal with heavier topics and "Frost Heaves" was no exception. 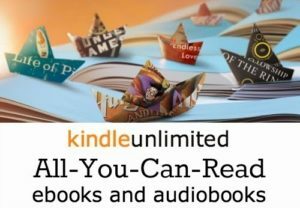 I found the portrayal of the abuse in the book to be well handled and not graphic. I felt very frustrated at some of the characters' inability to see the abuse for what it was and how things were twisted from what was really being done and said. I liked little Dezzirae and her innocence, yet knowledge she exhibited. Jade went through a lot in the book, but learned and grew through it. 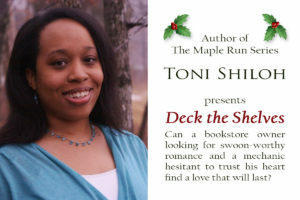 Deck the Shelves by Toni Shiloh: I liked Kendall and Q. They felt genuine and real. Their hesitance and fear over getting into another relationship was portrayed realistically. 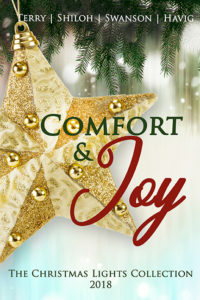 I wish I could go visit the Cozy Shelf and hang out at the hospitality table or go read in a nook somewhere. Deuce was a fun addition to the story. I thought the book quotes and the notes were fun. 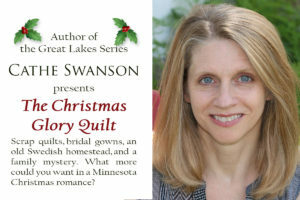 "The Christmas Glory Quilt" by Cathe Swanson: After realizing that we weren't getting a Unity Plenkiss story like I was expecting, I settled in to find out what was going to happen with Brian and Penny. I liked the mystery of the box in the garden and wondering what was up with that. I laughed at the references to The Princess Bride and Penny's obliviousness. 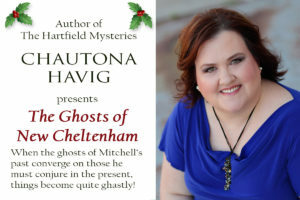 "The Ghosts of New Cheltenham" by Chautona Havig: Mitchell was adorable in his cluelessness and I really liked Brenna and Lauren. I want to be able to go visit their town and stroll the square. 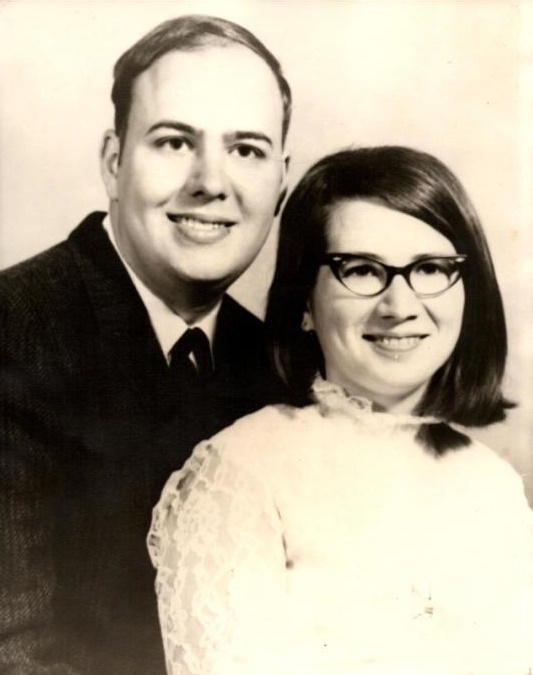 I could feel Mitchell's fear and wondered along with them who or what was behind the strange happenings at his house. 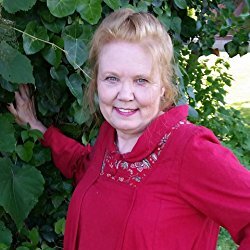 Winter's Treasure by Laura V. Hilton: I found the story to be well written and flowed well. I liked Paris and the treasure hunt her family sends her on for her birthday. There were a few characters I wanted to give a piece of my mind and set them straight on how things were. They all seemed like I could go to the U.P. and meet them. It was fun to see characters we've met before and I'm excited to read more of their stories. 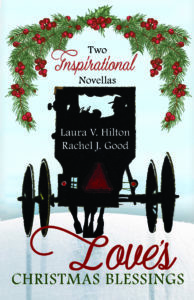 Mistletoe and Miracles by Rachel J. Good: I enjoyed reading this story. I found Daniel and Fern to be likable and believable characters. I especially "bonded" with Lyddie in her shyness. She made me think a lot of my son who struggled with being able to talk in his early elementary years. I liked the growth that the characters experienced. I look forward to reading more books by Rachel J. Good. During the last week of December last year, I got the idea to make my parents a graphgan for their 50th wedding anniversary. I was trying to finish up my temperature blanket but kept getting distracted by figuring out how to make a graphgan of my parents' wedding picture. I checked out several programs/websites and finally settled on stitchboard.com. I still didn't really like the way the graph turned out as it had a big white blob on my dad's forehead and my mom's dress was half cream and half white, with no shading. I figured I could tweak it myself, but then I discovered that Stitchboard had other color palettes to pick from, so I tried them and found one I liked. The widest that the graph could be was 150 stitches which made it 255 rows tall. (For a total of 38, 250 stitches) I still needed to change some of the colors as it had pink, cranberry, and 2 shades of green. I wanted to use all the same brand of yarn but wasn't able to find the right colors I needed and ended up with a variety of brands. Originally, I was going to leave the yarns attached to the skeins, but soon realized that it was not a good idea! So I wound off 10 yards of the colors and put them on clips or bobbins. It made it a lot easier to keep things organized. I did leave my lightest color still attached to the skein as I was going to use a lot of it. I hadn't gotten very far before I wasn't happy with the darkest light color. It was thinner than the others and fuzzier. But I didn't have any other options so I continued. 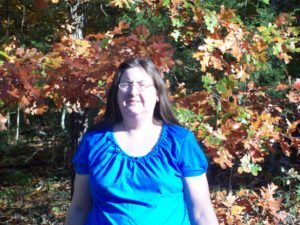 When I had 10 rows done, I knew I had to do something different for that color. So I looked some more and came up with a color that would fit in the color gradient scale closer to the lighter end. I knit up a 20 stitch swatch in the 10 rows to see if it would work. I liked how it looked better, so I ripped out what I had made and rearranged the colors and adding the new color in as the 2nd lightest color. I also decided to cast on with just 2 colors instead of the 10 colors the chart gave for the first row. It made it easier to do the first row with just the white and gray. I figured if I did 2 rows a day, not counting weekends, I'd get done with plenty of time to spare. A week later, I put it aside. It was hard to work on with the kids being home and everything that was going on. This unfortunately caused me to have less time to get it finished in time. So now I need to do 3 rows a day. Done with 2 sets of charts. It is taking about 45 minutes per row now. This row took me an hour and 20 minutes to do the ONE row! There were so many color changes. 2/3 done. 84 more rows, 36 more days until I need to be done. Working with 53 bobbins now. Now I only have 1 set of charts left and with the amount of background, the rows should go faster. The bobbins have gotten a bit tangled and messy. Nice and neat and organized now. Done with 3 sets of charts now. Taking an average of 30 minutes a row. It is measuring 40" wide x 36" tall so far. Only 25 bobbins now and about 20 minutes per row. 16 more rows to go. I cast off today! It is 40" x 54"
Here are the bobbins I used during the construction of the blanket. I laid the blanket on top of the backing fabric with the wrong sides together and pinned the blanket down to make it lay flat and even. It was easiest to sit on the blanket while I worked. Next, I folded over the edges of the backing fabric and pinned them down. I had picked up these tags on clearance and we thought it was funny they were called "Crochet" labels when they all say "knit". I sewed the backing down through all the layers. The tags I sewed on the back. I decided to give it to them after we set up for the party today. I had decided to knit the blanket because with large crochet projects I've done, the sides sometimes end up wavy because the tension isn't always consistent. I would, however, crochet any other graphgans I might be crazy enough to undertake in the future. The color changes in knitting were much harder to keep neat and not too tight or too loose.